Are you a surf loving GP? Or perhaps you just long to live near the ocean? Or maybe you want to live in a large city with a 25 minute commute to work? 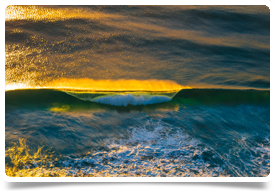 We have a great opportunity for a GP to work in the surfing capital of Victoria on the Great Ocean Road. We’re working with a team who provide a home visiting GP service to the local community. This service has been established for a few years and has proven extremely popular. The team are now in need of additional doctors to help maintain the service and also expand into surrounding areas of Geelong. There is also scope to expand into servicing nursing homes. You will be a mobile GP seeing a range of patients in their homes. They have a wide demographic but mostly young families and children. You will be fully supported by an admin team who will deal with all appointments and will be working from a cloud based system. Appointments are usually booked at 30 minutes. For this position there are flexible working hours on offer – these can be discussed and negotiated with the client. There is also a position available at their specialist Skin Clinic – if you have an interest in skin cancer detection and treatment / aesthetics then there could be up to 2 days per week available within this setting. There is an established patient base at the clinic and these services are in high demand. To be considered for this position you must have MRCGP / CCT / MICGP or FRACGP or equivalent. Monday 9am - 5pm INCLUDING Public Holidays. A fantastic town at the start of the Great Ocean Road, this area is renowned for its world class surfing and attracts tourists and surfers in their thousands. You are just over an hour from Melbourne and a short 20 minute drive from Geelong. Stroll along sandy beaches beneath towering cliffs or take in fine views of the coast from vantage points along the Surf Coast Walk. Don't be afraid of the name, snorkelling around Point Danger Marine Sanctuary is a great way to see some of the diversity of the area's underwater inhabitants.